Want to get out walking more? 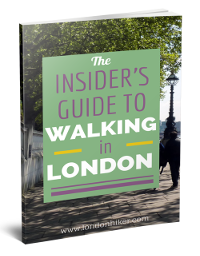 Here are some resources I’ve created and some resources I recommend for London walkers. Get 3 great resources at a discount price! …if you prefer, buy each of the items individually below. …get them all free as a bonus with the Walk Your Weekends package (see below for more information). Discover walking ideas from 21 London locals and bloggers. You’ll find ideas for walks within the city and outside of it; along rivers, through woods, canals, heaths, spectacular cliffs, and even cemeteries! This is my ‘flagship’ resource: the culmination of years of London walking, blogging, and researching. Where are the unmissable viewpoints? What should any self-respecting London walker aim to tick off their checklist? I have the answers! Get this free as a bonus with the Walk Your Weekends package (see below). 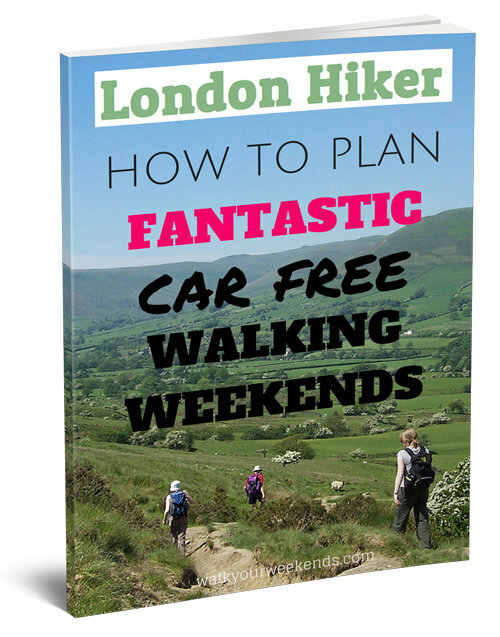 In this guide I want to share with you the EXACT process of how I go about planning car free walking weekends away from London in Britain’s best hiking areas, with a specific case study. This mega guide is going to be full of really PRACTICAL step by step tips and I break down the specific process for you – so you can do it too. Ever feel like you’re missing out on Britain’s best countryside by living in London? You CAN have London and the hills! Crash Course in Britain’s Best Hiking: discover where the best hiking locations are and how to get there from London. You’ll also get the big list of 20 ideas for weekend walking breaks from London. Plus a planner to help you plan your best hiking year ever! This is the number one books I recommend which give detailed instructions for day walks outside of London in the surrounding countryside (as opposed to within the city itself). I wholeheartedly recommend them and if you want to find out more about why I think they are so good, you can read more here. * You don’t need a car! * You don’t need to take a packed lunch as all the walks go past a cosy country pub AND a tea shop! * You don’t need to buy a map; the instructions are incredibly detailed! * You can walk on your own or do these walks with groups if you want to! 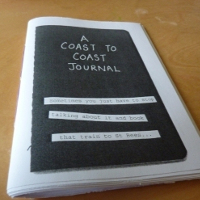 This chunky zine is reproduced from drawings, doodles, cartoons and sketches I made whilst on Wainwright’s Coast to Coast walk across England in 2010; a life changing, 2-week walk across England. The Lake District is a ‘must visit’ location for everyone who loves great walking in Britain. But if you asked me where to stay for your first visit, I’d have to recommend Ambleside; I’ve been visiting this village for years and I’ve used it as the base for some incredible hiking adventures. I often get asked for advice on walking holidays there, so I created a PDF full of my own personal best tips and honest ‘been there, done that’ recommendations for making the best of Ambleside. 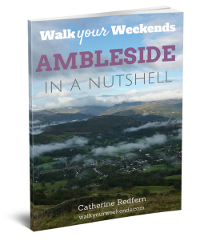 The Ambleside in a Nutshell guide includes ideas for activities, rainy day activities, places to eat, how to get there by public transport or driving, getting around, and lots more. 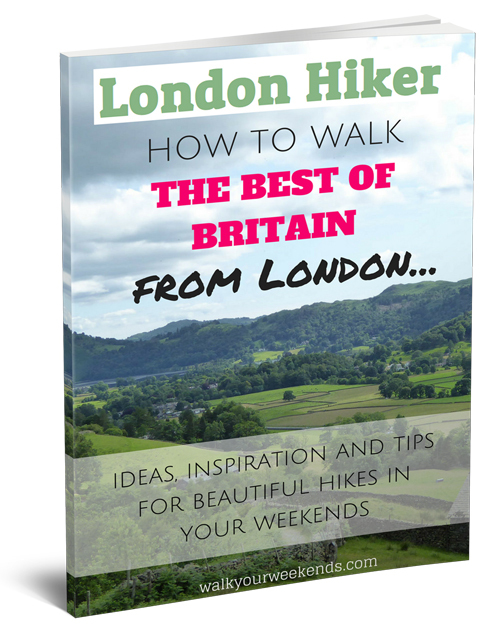 And it contains a ton of great walking suggestions and ideas, including 8 ‘easy’ walk ideas, 3 ‘medium’ walk ideas, and 4 ‘hard’ walk ideas. It answers questions like: Where do I get buses from? Where can I catch buses to (and how long does it take)? How do I get there by car? How do I get there by train/bus? How much can I expect to pay for parking? Where can I hire cycles? What are the great independent/interesting shops to look out for? What walks can I do? Where are the cash machines? Where’s the tourist information office? Where is nice to eat? What sort of activities can I do from there? Where are the public toilets (and are any of them free)? Where is good for getting picnic supplies for my walks? 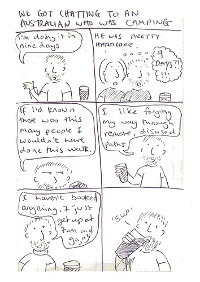 …and loads more. I’ve done all my walks on a DIY basis. In other words, I booked and organised them myself rather than through a travel agent, and I carried my own backpack too. I am not an expert, and I’m not super human. If I can do it, YOU CAN TOO. If you’ve ever dreamed about doing this one day, this could be the kickstarter that finally gets you on to the trail. 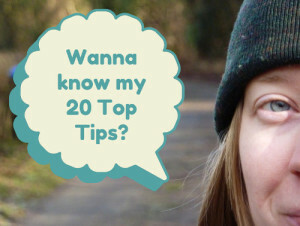 3) Be fully PREPARED for walking it later in the year! 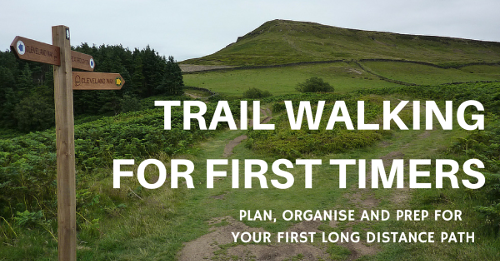 I’ll take you STEP by STEP through the process from “I don’t know what trail to do” to helping YOU making key decisions, organise your British trail yourself and have everything prepared. This online course is delivered through emails, videos, PDFs and downloadable checklists. Walk Your Weekends is everything I know about weekend walking from London. 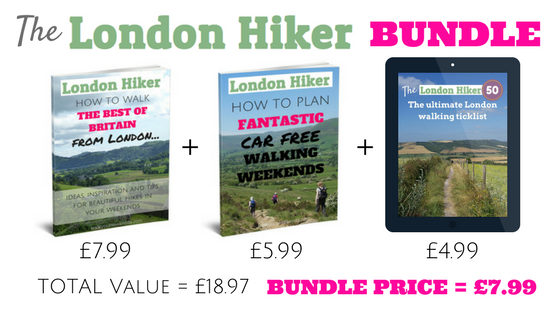 If you want to hike the best of Britain in your weekends, DESPITE living in London and with NO CAR… this is for you. You can ask me any questions if you get stuck planning your walking trips – I’ll be happy to help you work out a solution to your specific requirements. Basically I can support you by email and answer any questions you have about it. You get access to the friendly Facebook group full of fellow walkers where I answer Qs and share insider info. It’s all explained in detail from LONDON and by public transport. So no car required for any of the weekends. I have never owned a car and I’ve been hiking all over the place. Each weekend has 2 or 3 day options explained. 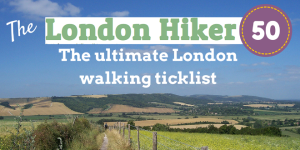 If you’ve been wanting to go hiking out of London more in your weekends then this is the perfect next step to help you do it – independently and without spending weeks researching it.